In 2014 we ventured out and contracted a company in Europe to supply us with Biofeedback devices to our specifications. From that time we have sold many of our customized devices for the American countries and produced many famous videos like "Experience a Diacom Scan", "Classroom: NLS Technology" and "Join the Diacom-USA Team". Unfortunately this outsourcing had a major drawback: "our supplier is dishonest", and that was not the only reason, much of our intellectual property was stolen and counterfeited including our unique training, and so in 2016 we decided to stop overseas development and start with an all new Technology built "in-house" the we started from the ground up​. 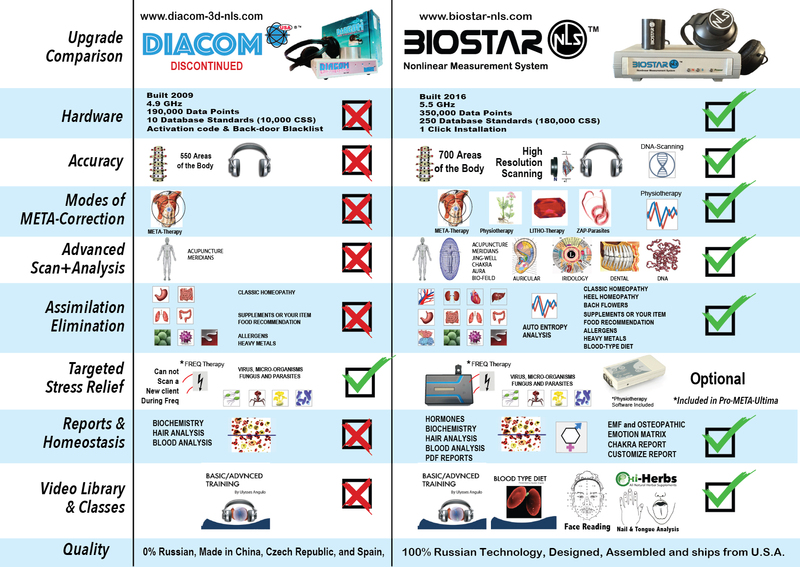 Today we produce in the USA the new technology suite, we call it BIostar Technology. To this day we works with US Customs officials to ban and reject any devices that have our trademark logo. Experience a Diacom Scan from NLS Technology on Vimeo. Join the team DIACOM-USA from NLS Technology on Vimeo. 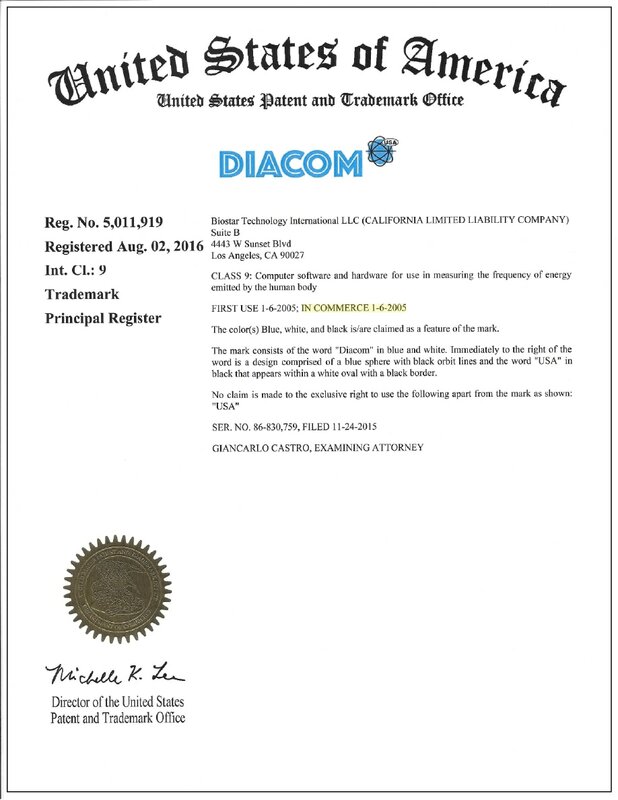 Consumers of the Diacom-NLS Device. Please be aware that due to large amount of counterfeit devices, we have discontinued the Diacom. Any new purchases are at your own risk - and more than likely will be purchasing a fake device. To be sure, we recommend you buy from the USA to ensure you purchase is safe.